Ed is responsible for the background buzz during "My Iron Lung". He achieves the sound using both an E-bow and his Strat's whammy bar. The E-bow provides the sustain and the whammy bar is used to help create the gradual up/down swell in pitch. A similar technique is used during Talk Show Host too (live at least). The effect Ed creates towards the end of Talk Show Host may be produced using a Lovetone Meatball, which is a terrific (ally expensive) envelope filter which, among many other things, can turn out that nice auto-wah which resembles record scratching. They're made in small numbers in the UK and go for a little over $300 US currency. 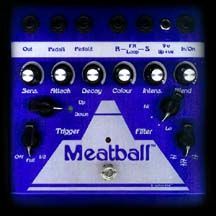 If you want something similar and can't find the Meatball, consider an old Mu-Tron envelope filter (again, if you can find one) or, failing that, the newer Sovtek/Electro Harmonix Q-Tron. "Karma Police" distorted guitar dropouts, courtesy of a rackmount AMS digital delay. "That machine malfunctions wonderfully," Thom says. "Ed played the notes that started it, but basically it's the machine playing itself." Ed explains that the noise was made by turning up the delay's regeneration, then slowly turning the delay speed down. The basic effects unit in ed's rack is a korg a2 multi-fx, although it's fallen out if favor for the more analogue sounds of ok computer. "i used it a lot on the bends, stuff like planet telex - almost all the guitar is through that, all very synthesized." 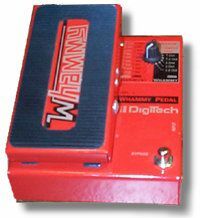 next up is a digitech whammy pedal - "everyone seems to have one of those, but they're great." 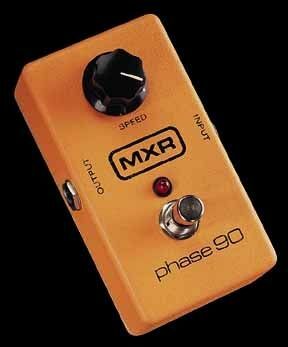 then there's an old mxr phaser pedal, jim dunlop tremolo, a companion distortion pedal, electro harmonix small stone and electric mistress, plus roland space echos and "the usual" boss pedals. for guitars, ed has tree rickenbacker 360s, a 12-string black model and two sunburst six-strings, a couple of strats ("just for on the road, they're really solid for fx-stuff"), and a hand-built guitar made by the band's guitar tech, peter clements. it's a hybrid of a gibson neck with a rickenbacker semi-acoustic body ("a beautiful, beautiful guitar," ed adds). The thinking behind the use of so many standalone pedals is simple - it opens the doors to sonic experimentation big-time. "it's how you use them, in what order you put them," as ed puts it. "out in america we pick up loads of stuff from second-hand stores, funky old pedals. we've got a great fuzz pedal - the bass on exit music, the distorted bass at the end was a 60's japanese fuzz pedal that i picked up in la. 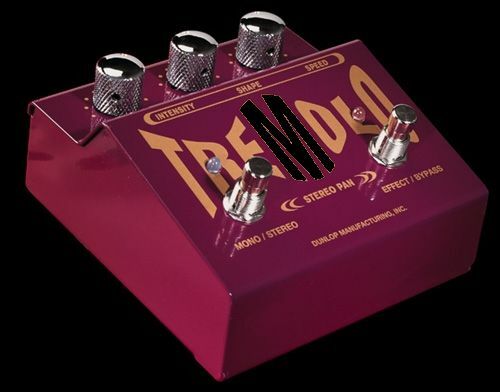 it's a great pedal. 60 bucks for this thing - you put it on a guitar and it sounds like telstar." "Or jonny at the end of paranoid android, the phased solo thing, that's through a mutator - he did the part then fed it back through the box and played with the settings." as for the rest, everyone plays fenders - colin plays a precision bass, jonny a telecaster, there are fender twins amps everywhere. 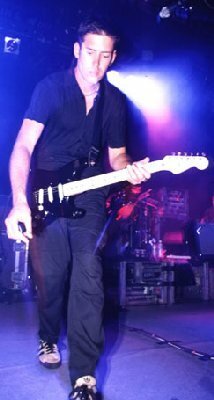 thom uses a fender jazzmaster and a telecaster custom - one of the 1970's ones with two humbuckers and a strat-style headstock. "yeah, but he's just bought a rick. he's wanted one for ages because i had one," ed adds with a smirk. on the amp side the band use mainly reissue valve models - "in the studio it's ac30s, fender twins and a boogie rectifier, the tremoverb, which is really nice. 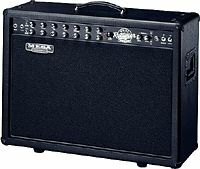 they're all reissue ones, we haven't got any old amps - we do so much touring they'd probably break down too much. so we got the reissue blue speaker voxes. i'd love to hear a great old 1960's vox, though, i've never heard one."